If you find a swarm of honey bees, don’t worry, one of our local beekeepers will try to come and retrieve them. 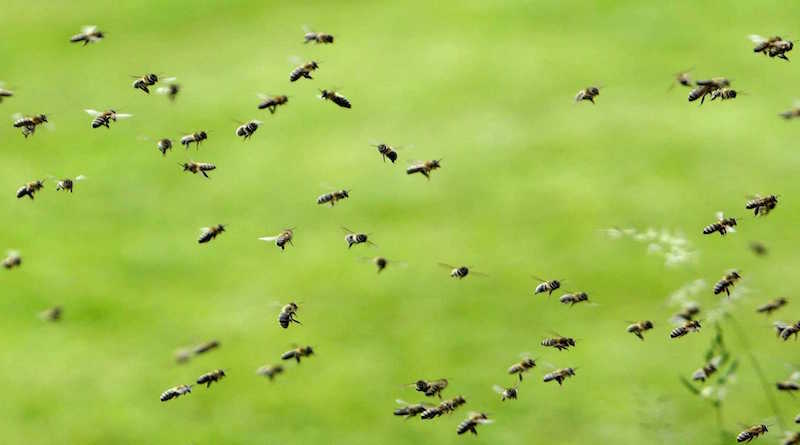 Once honey bees have swarmed and settled they will probably stay where they are for the rest of the day. You can contact us through this website and we will be happy to help and provide the guidance on next steps. At this time of year we are very busy with our own bees but we will coordinate with our members to see if anyone is your area who could assist and probably collect them. All our beekeepers are volunteers and will always do their best to help. They are not professional builders and insurance restrictions limit what they can achieve. If we are unable to help we will try to advise you on living with the bees – or seeking professional removal. Note that we are only insured to deal with Honey Bees.